People say it all the time: meditate to relieve yourself from stress, improve your productivity, and rejuvenate your energy. But how exactly is meditation helping us? Does it really work, and is it worth spending time on? To understand meditation and how it affects your mind and body, you really have to know yourself and your potential first. Here are a few things you should know about meditation before you decide whether or not it is something you can do. Meditation is a process which occurs once you start focusing on your inner thoughts and energy. Learning how to control those thoughts and energy can help you relax, focus and concentrate, renew your energy and relieve stress and exhaustion. By meditating, you can do anything you want to. You connect your body with your mind and soul, and experience new sensations which can’t be explained and shown otherwise. Your mind learns about your body and vice versa. It’s the ultimate connection which cannot be achieved otherwise. Many people in the world have issues with their health in general. A stressful life can often cause rise in blood pressure, which leads to cardiac arrests and often death. In order to prevent your heart from exploding, besides living a healthier life, you need to meditate often. By meditating, your body will calm down and enter the state of peace and quietness. Tensions will disappear, stress will go away and your blood pressure will drop to normal. It is all about finding your inner chakra and breathing normally, with deep inhales and slow exhales. 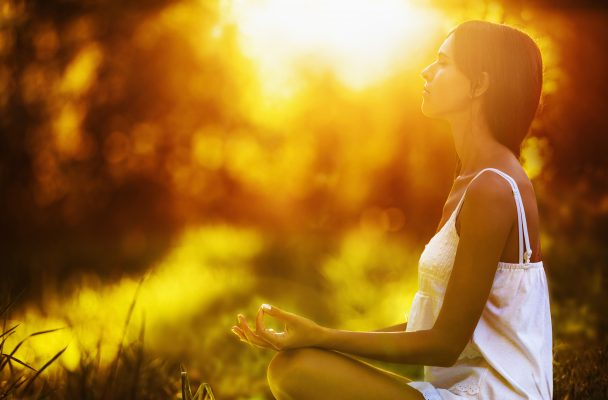 Did you know that you can also improve your immune system by simply meditating? Scientists have proved that through meditation, you can fight off viruses and other symptoms of illness. All you have to do is focus hard enough and let your body speak with your mind. On a subconscious level, you will send positive energy to your body and tell it that everything is alright. Meditation lets you focus hard enough for this to happen. Avoid heart disease and other potentially deadly problems by taking care of yourself, your body and your soul. Are you suffering on a daily basis from a pain that occurred many years ago? Does your lower back still hurt when carrying heavy bags or bending to reach for something? Through meditation, you can find those inner sensors and activate them. Relieve that chronic pain through a 90-minute meditation, and spend the rest of the day enjoying things you love, without being disrupted by severe pain. If you need help focusing, try using smudge sticks while meditating to improve your concentration. If you commit yourself to a full 90-minute meditation process every day, you will feel the difference in no time. In the first week only, you will learn to understand meditation and explore its limitless possibilities. After that, you will realize that you can improve your general health and well-being as well as strengthen your immune system. Stress and other problems speed up your aging process, so taking care of those should be your number one priority. Learn to master meditation and nothing will be in your way. Meditation is a healthy and natural way of boosting your immune system, reducing stress and regulating blood pressure. It can help you with many other things such as boosting creativity, improving focus and regulating your stored energy. Meditation should be taken seriously for it is indeed the most natural way of discovering your full potential.